Unlike US-based Usenet services, Eweka utilizes a pre-paid system. This means that you purchase days of access to your account in advance. Eweka offers customers with 3,558 days retention on all newsgroups that the service supports. They have a very reliable Usenet service with over 99.5% completion rate. They do not have any data transfer limits set on any of their subscription plans. Users can enjoy unlimited data transfers with up to 100 Mbps connection speed (Standard – 50 Mbps, High Speed -100Mbps). They allow a maximum of 8 concurrent connections per account. Eweka provides the highest quality newsgroups to its users. They are currently connected to over 109,000 discussion groups all over the world. 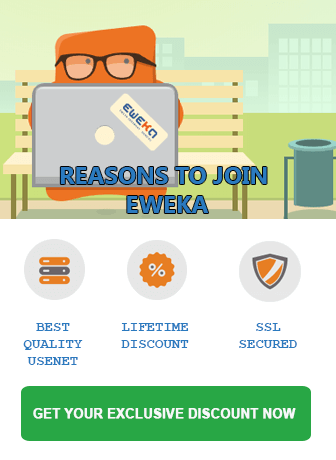 Eweka protects customer’s Usenet access with their free 256-bit SSL encryption. Eweka understands that new members need some time to test the service. In response they offer a 7-day free trial. You can sign up for a free trial account directly from their site. The trial does not require payment information. When the free trial period ends you can choose to top off your account or stop using the service. Eweka takes user security and privacy very seriously. 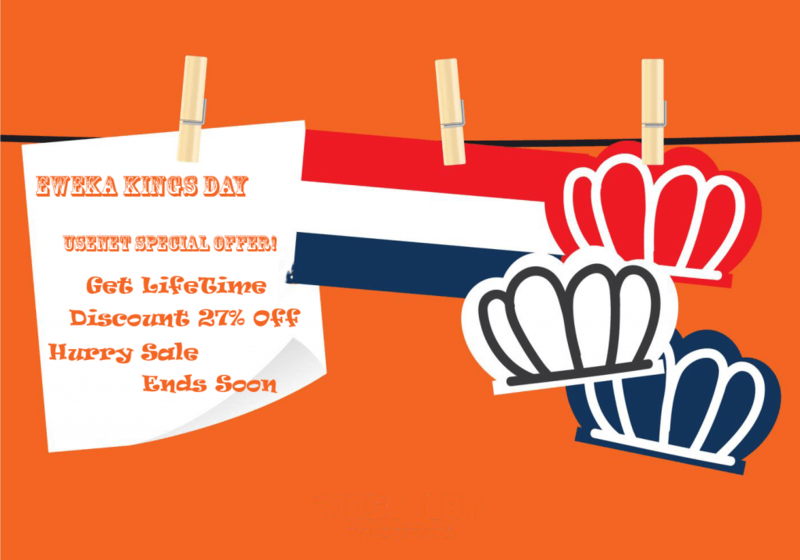 They start by offering all Usenet members the ability to connect using SSL encryption.Eweka is based in the Netherlands where security and online privacy are more respected and part of the culture. Eweka tech support team is there to help if you have any questions. You can reach them by email. Their support desk is available Monday-Friday during regular business hours. Emails are typically returned within 1 to 3 days depending on where the weekend falls. If you want a very high-speed Europeon Usenet service, then Eweka.nl is just what you need.